With the season on the line, Masahiro Tanaka answered the call with seven brilliant innings and Greg Bird cracked a majestic home run off Andrew Miller, extending the Yankees’ run for another day with a 1-0 victory over the Indians in Sunday’s Game 3 of the American League Division Series presented by Doosan. 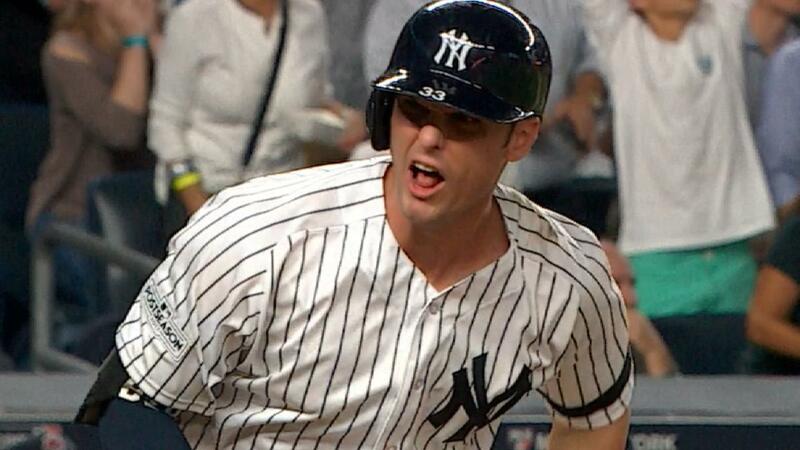 Bird’s second homer of the series, a blast into the second deck in right field, provided some desperately needed support behind Tanaka’s dominant outing. With the Indians flailing regularly at his lethal splitter, Tanaka blanked the formidable Cleveland offense on three hits through seven frames, issuing a walk with seven strikeouts over a 92-pitch effort. New York trails the best-of-five series, 2-1, with Game 4 set to be played at Yankee Stadium on Monday at 7 p.m.